Our teens are essential members of the Martha Graham School, which strives to provide them opportunities to expand their understanding of dance and all the arts. The mission of the conservatory-based Young Artists Program is to further teens’ development using the Graham Technique and Repertory as a foundation for study. The Young Artists Program is led by former Martha Graham Dance Company principal dancer, Tadej Brdnik. Participation is by audition or invitation only. Teens@Graham’s Young Artists Program offers Placement Auditions both in-person and online. Scholarship Audition must be attended in person. The Teen Pre-Professional Division is designed for technically advanced students who demonstrate significant potential for post-secondary study or careers in dance. Teens follow a rigorous curriculum including Graham Technique, Ballet, and Contemporary in addition to Creative Workshop, which provides them the foundational skills in choreography to develop their creative voices. Core programming also includes Repertory studies. Each year, students will study and perform one of Martha Graham’s masterworks and will also have a new work created on them by one of NYC’s established choreographers. 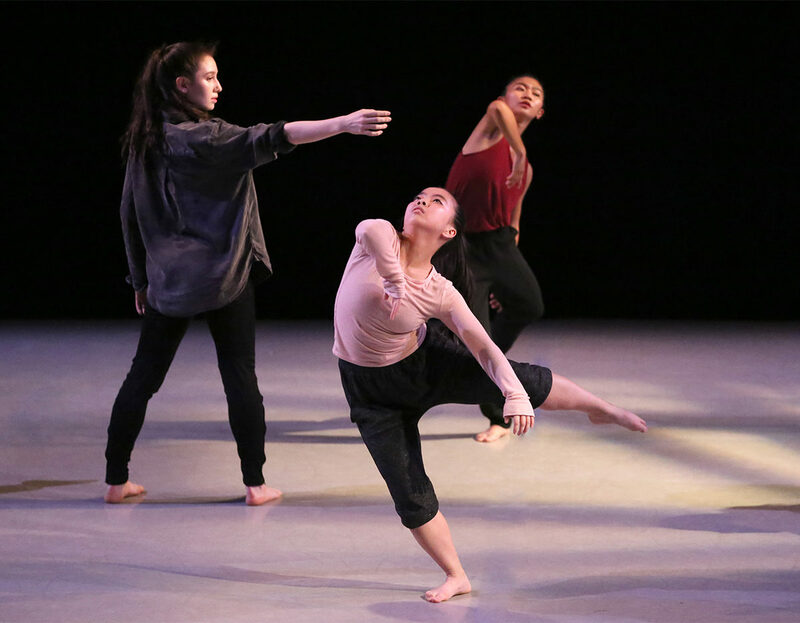 Teens will be invited to attend Martha Graham Dance Company open rehearsals and performances and will participate in a year-end Teens@Graham Showcase. Other performance opportunities throughout the year may arise. Participation is by audition or invitation only. The mission of the Teen Artists Division is to further teens’ development as individuals and as artists. The core of the Program is the Creative Workshop, in which teens learn the craft of choreography, develop their individual artistic voices, and create their personal movement signature and vocabulary. Using the Graham Technique and Repertory as a foundation for study, the programs serves as a platform for personal and creative exploration. Each semester teens will attend two special events and are introduced to significant and artistic and intellectual movements. Teens will also be invited to attend the Martha Graham Dance Company open rehearsals and performances and will participate in a year-end Teens@Graham Showcase (and other performances throughout the year). The Teen Training Division reflects the Martha Graham School’s dedication to providing strong technical training for teens. Classes are offered in Graham Technique, Contemporary, and Ballet with the objective of generating greater physical capacity, movement articulation, and strong technique. 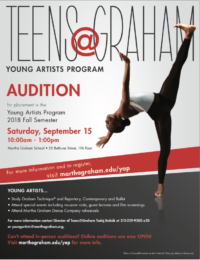 Teens will be invited to attend the Martha Graham Dance Company open rehearsals and performances. Questions? 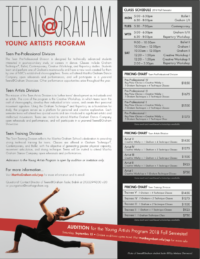 Contact Director of Teens@Graham Tadej Brdnik at 212-229-9200 x20 or youngartists@marthagraham.org. Some merit and need-based scholarships available.